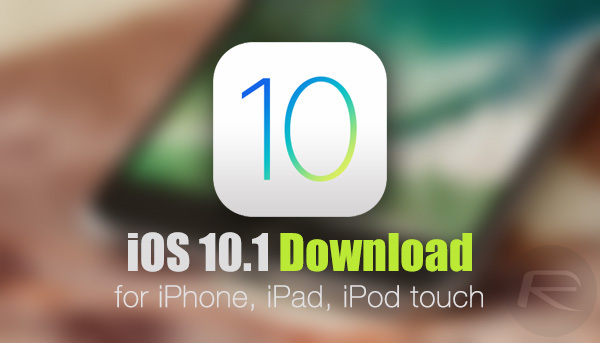 Apple has officially made available to download iOS 10.1 final IPSW links for compatible iPhone, iPad and iPod touch devices. As always, we are right on the money when it comes to any Apple firmware release, and as such have all of the details for you on iOS 10 release right here. Apple may have made iOS 10.1 available for public consumption with immediate effect, but what’s particularly interesting about the release is that iOS 10 as a platform is still in its infancy in the fact that it was only released to the public in the first instance last month. Owners of compatible iPhone, iPad and iPod touch hardware are still getting used to, and actually still finding the new features and upgrades that Apple added as part of the main iOS 10 overhaul. This latest iOS 10.1 release not only progresses the platform and makes it more stable, but also gives those device owners additional functionality to sink their teeth into. Enrolled developers and those registered on Apple’s public testing program have been able to interact with iOS 10.1 in a pre-release state since late September, meaning that there’s been plenty of time for bugs and issues to be reported back to Apple and ironed out as part of the testing period for today’s final release. It also means that those same testers have been able to get a first glance at the new features added into iOS 10.1, which may predominantly be a bug fixing and performance enhancement release, but also introduces the fantastic new Portrait mode feature that takes the iPhone 7 Plus camera to the next level. This new camera feature was heavily talked about during Apple’s September 7 iPhone event, and has been designed to make use of the powerful dual-lens camera system that ships uniquely with the iPhone 7 Plus hardware. iPhone 7 Plus owners opting to grab this latest iOS 10.1 download will instantly have additional photography power bestowed upon them via the ability to apply impressive depth-of-field effects to photographs, which is visible in real-time in the viewfinder of the Camera app on the iPhone 7 Plus. 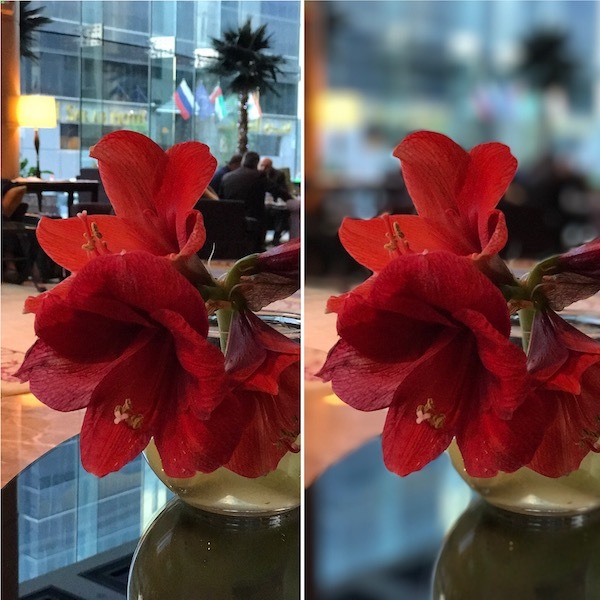 For information on how to use this feature on your iPhone 7 Plus, check out our guide here: iOS 10.1 Portrait Mode For iPhone 7 Plus: How To Use It For Taking Bokeh Shots. 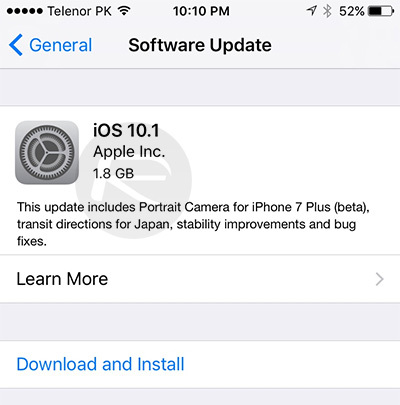 We’re sure that Apple will continue to progress iOS 10 moving forward, but for now, iOS 10.1 is available to download and consume with immediate effect for those with compatible hardware. You can grab the update as an over-the-air download via the Software Update (Settings > General > Software Update) mechanism directly on the device itself. If you wish to grab the IPSW firmware file for a fresh install of iOS 10.1, use the download links below. iPhone 7 Plus (iPhone9,2) vs iPhone 7 Plus (iPhone9,4). Which do I have ? Thx. Just downloaded and ran SysSecInfo. I have the iPhone 7 Plus (iPhone9,4) (Unlocked, SIM free, Intel radio).